It is rare that I post on Saturday! But Next week is busy and there are some amazing giveaways coming up! I love this outfit so I decided to do a Saturday post! I am really in love with these J.Crew jeans and they are on super sale right now! The J.Crew sale is the best! I got so many cute summer dresses there this week that I can't wait to wear! Have a great weekend! Oh and don't forget to enter the Lemons and Lace giveaway here! Thank you all so much for reading and for all of the support! Super cute look! I absolutely LOVE your shirt. Those stripes are my favorite shade of blue! Also, your hair looks great, and I am completely envious of those beautiful waves. 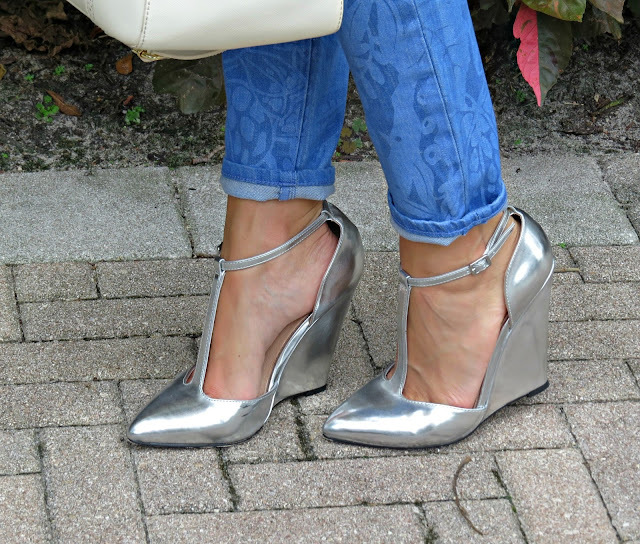 I love the jeans & the shoes! !